Swydan’s a baseball guy (he dropped a few baseball metaphors in our conversation about bookstores), and spent fourteen years in the industry as a reporter and an editor of The Hardball Times. More recently he freelanced for Boston.com covering the Red Sox, “but it was a lot of work and it was getting to the point of repetitive, repetitive.” Around the same time, Willow Books, a twenty-one year staple of Acton, closed after the owner’s retirement, and suddenly the town was without a bookstore. 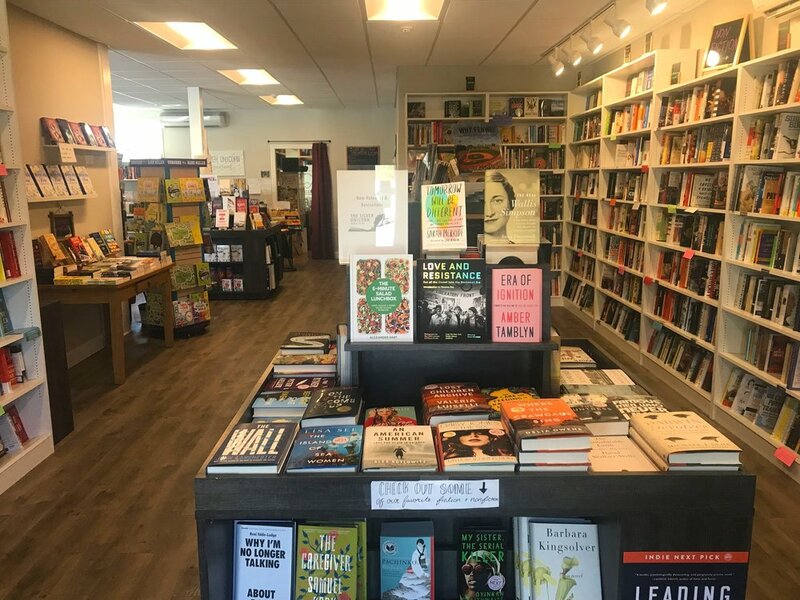 While Concord Books is only one town over, the traffic prohibits timely visits – and besides, it’s not the hometown bookstore, it’s another town’s bookstore. The third factor of the perfect storm was that the former car wash, which had housed a few retail stores since, sat empty, in a location that was conducive to foot traffic (unlike Willow Books’ destination location). “It was perfect for me because right when I was finishing writing the bones of my business plan was when it came on the market,” Swydan explains. “I was like, ‘Well this place is perfect!’ So I was able to write my business plan with this spot in mind...because so much of a business plan is location-based.” Knowing the dimensions of the space, what the parking was like, what neighborhood it was in – basically concrete logistics rather than theoretical guesses – made it easier for Swydan to get his loan. The half-door to the children’s section (adults can go around the wall). Swydan began reaching out immediately and putting in the work necessary to learn (in fact, that’s one theme that came up in our conversation, Swydan’s willingness to learn and course-correct, learn and course-correct). “When I made the initial plunge, there was this article in the New York Times about authors who own their own bookstores. It was five authors, and one of them was Jeff Kinney, [who owns Plainville, MA’s] An Unlikely Story.” While Kinney’s email wasn’t on the website, Swydan found the contact information for the general manager, and reached out to her with his story. “I asked her all these inventory question, like how do you buy the books, what do you do. And she was very polite – she didn’t answer any of them – but she sent me the link to the Paz seminar and said, ‘Go to this, and if you still want to do it after you go to this, then you’re on your way.’” Paz & Associates, dubbed “The Bookstore Training Group,” is an independent organization that trains up-and-coming bookstore owners. Swydan found himself at the seminar in Nashville a few months later. That first week of opening, The Silver Unicorn hosted seven events in seven days, which Swydan admits was a little much, yet easing into running a bookstore didn’t seem to be a priority – they jumped in. Immediately, The Silver Unicorn picked up where Willow Books had left off in terms of hosting ‘literacy nights’ – evenings when local teachers do story times at the store – and they do them for all six local elementary schools. Those initial seven events, which included known local authors, writing literary fiction, YA, and kids books, kicked off a very well-curated menu of author events that even some established bookstores have yet to achieve. Swydan admits that “Most of the events we have are people I DM on Twitter, or their emails are on the website and I email them, and usually people are happy to come out.” Because of the location of The Silver Unicorn, it can tap into not only the metro-Boston literary scene, but their location lends itself to easy travel from western Massachusetts writers; for instance, Jane Yolen and Heidi Stemple did a story time in December, and Ali Benjamin, another author from Western Massachusetts, will be visiting for Independent Bookstore Day on April 27. Another event from this past year (that Swydan wants to duplicate with different authors) was November’s “A Feast of Fiction,” in partnership with the Orange Door Kitchen down the street. The evening featured local authors Jenna Blum, Crystal King, and Louise Miller talking about their food-centered novels with attendees, over a dinner inspired by meals from their works. 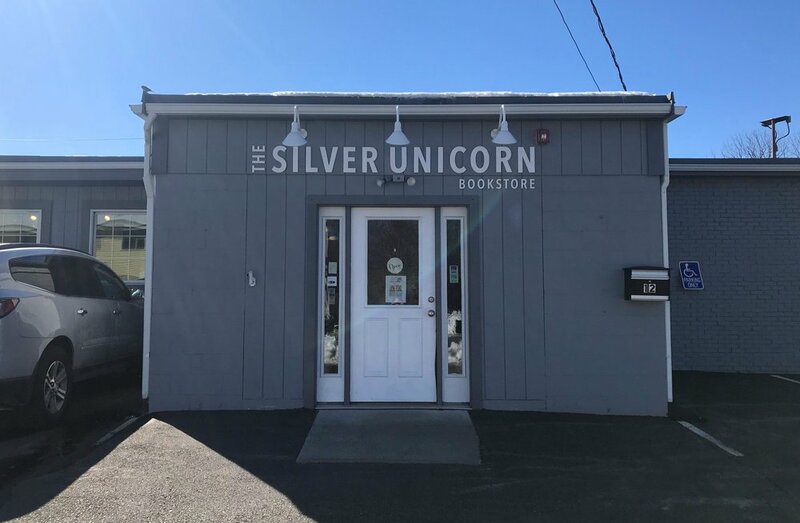 Recently, The Silver Unicorn partnered with local bookseller Clarissa Murphy to create A Whirlwind Romance pop-up bookstore at Bow Market in Somerville, just in time for Valentine’s Day. Swydan saw a post about a romance pop-up on Murphy’s Facebook page and responded with a ‘Yes, let’s do it.’ (Swydan admits that saying yes to opportunities has become his motto.) The pop-up received a number of visitors and great press coverage about its mission and uniqueness. Swydan has a number of stories from author events over the past year, including their first book launch for local Maynard author Casey W. Robinson and her first children’s book Iver & Ellsworth. “We had set up the launch before we opened and so she took a leap of faith with me, that I would be a suitable store,” Swydan explains, and then tells the story of how, as a first-time bookstore owner, he ordered fifty copies of Iver & Ellsworth. “That should be more than enough!” And then, “We sold all fifty, and the place was mobbed…” Fortunately the publisher showed up with more copies in his trunk. Another story Swydan tells is of the first event that filled all fifty chairs, a reading with ESPN’s Keith Law…though, much to the anxiety of Swydan, those chairs were filled only moments before the event began. Swydan also fondly remembers Gregory Maguire’s visit. And he tells the story of local author Sarah Farizan buying copies of her own books after her reading and signing (“usually they don’t buy their own books”), only to present those copies to the two booksellers running the event that day. On Sunday morning at 11:00am, there will be a story time with children’s authors Josh Funk and J. R. Krause (whose novel Dragon Nightwas just named a Kids’ Indie Next pick). Finally, at 2:00pm, there will be a middle grade author panel, featuring Rebecca Carprara, Susan Lubner, and Anna Staniszewski – part of their authors’ Love and Magic Tour. The mural, designed by Kirsten Spargo, is an iconic store feature. Can you name all the characters? For more information about the One Year Anniversary events, visit the Silver Unicorn Bookstore website.